Ton Truck REAR hubcap, Chrome plated. 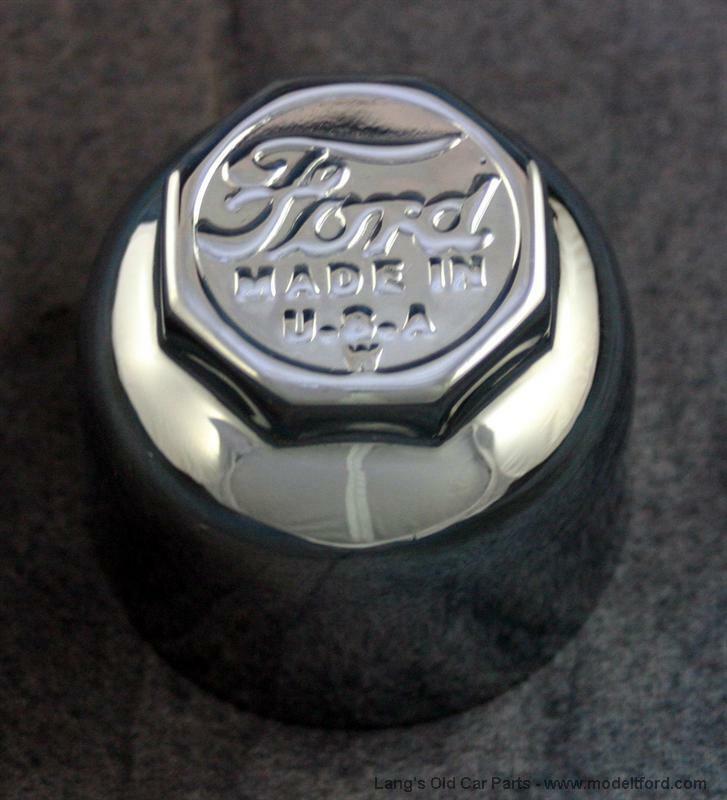 "Ford MADE U.S.A.". 2-7/16" Outside diameter. (Front hubcaps used on Ton Trucks are the same as the wood wheel caps used on cars). NOTE: Ford originally used nickel plated hubcaps. These chrome plated hubcaps are the only ones being reproduced. They are look original in appearance and don't require polishing as the nickel plated ones do. Hubcap, Chrome plated, stamped "Ford MADE U.S.A."